This weekend bus drivers at stagecoach in Rotherham and Barnsley voted to accept the improved offer of £9.05p/h and a backdated lump sum of wages owed by the company at the improved rate from the companies last pay review. Stagecoach have been forced to make this offer after 12 days of strike action by the drivers. The scabbing operation run by stagecoach managers was costing the company more in hotels and overtime for the opportunistic scabs and managers, than the pay increase the drivers where asking for. The Threat of further strike action and solidarity from local trade unionists who raised substantial amounts of money for the drivers The general public also offered support, with many refusing to catch scab buses, This has forced managers to back down. The bus workers victory shows that if we stand together and fight together with solidarity and determination we can improve our conditions and take a larger piece of the bosses profit which we slaved to earn. 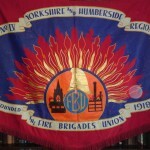 South Yorkshire fire and Rescue service faces massive cuts having to slash £10 million from it's budget by 2015. The cuts will mean 140 fire fighters lose their jobs and 4 fire stations will close being replaced by 2 resulting in slower attendance times and a danger to the public. 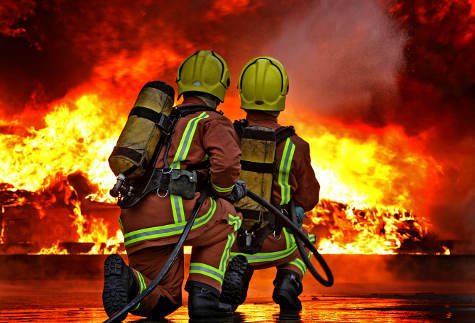 Speaking on the FBU website John Gilliver, FBU brigade secretary said: “These are slash and burn cuts with frontline crews being targeted once again. Politicians of all parties promised no cuts to the front line, but that is precisely what continues to happen. “We’re going to end up with even more cuts to firefighters, fewer appliances and fewer stations. Frontline crews will be spread even more thinly than we are now. “We were over-stretched by major flooding a few years ago, if anything like that happens again we’ll be over-whelmed. It is difficult enough coping since the last round of cuts and these are a step too far. “How can they expect us to cope with all the 999 incidents we have to deal with, after cuts of this magnitude? It is simply unreal to expect us to be able to do so no matter how dedicated we are to serving our local communities. “These cuts would clearly increase risk to the public and fire-fighters." It only leads to tyranny. It reduces human beings to cogs. It ignores human nature because it’s utopian. It is against democracy because it believes in violence. It wants everything run by the state. Why Marx Was Right answers these, and other, criticisms with both wit and passion. This is absolutely not a po‑faced defence of Karl Marx, with great slabs of quotations to back its case up. It is undogmatic, yet committed. Disarmingly, Terry starts the book by saying how great it would be if Marxism really was finished. That would mean that capitalism itself had disappeared and human beings could get on with other things. Terry points out that the real utopians are not Marxists but those who believe that capitalism “works”. Of course, Marx himself celebrated the wonders of capitalism. But its greatest wonder is that it produces its own gravediggers. Workers are its victims but have the potential to transform its riches into well-being for all. Terry deals with other misunderstandings about Marx. People often claim he was a determinist, who thought the victory of the working class was inevitable. But if that was true, why would he have talked so much about struggle determining outcomes? Marx did not see revolution and democracy as opposites—quite the opposite. He wanted an end to the state, with public functions under the broadest, popular control. As for individuality, it’s capitalism that reduces everyone to the same. The purpose of socialism for Marx is for individual personality to flourish—on the basis of cooperative development. Does Marxism have a concept of human nature or morality? What is meant by the relationship between base and superstructure? Terry illuminates these tricky issues. Over 500 asylum seekers in South Yorkshire face eviction from council accommodation into private sector houses if G4S the biggest security army in the world is allowed to sign a contract on February 29th. G4S are the world’s largest private security firm. UKBA maintain that the housing contracts are going to partners with a proven track record. Asylum seeker tenants already feel intimidated and threatened by the prospect of G4S as their managing landlords.G4S manages four detention centres. In 2010 there were over 700 allegations of mistreatment in G4S centres and there is history of brutality and neglect under G4S management. 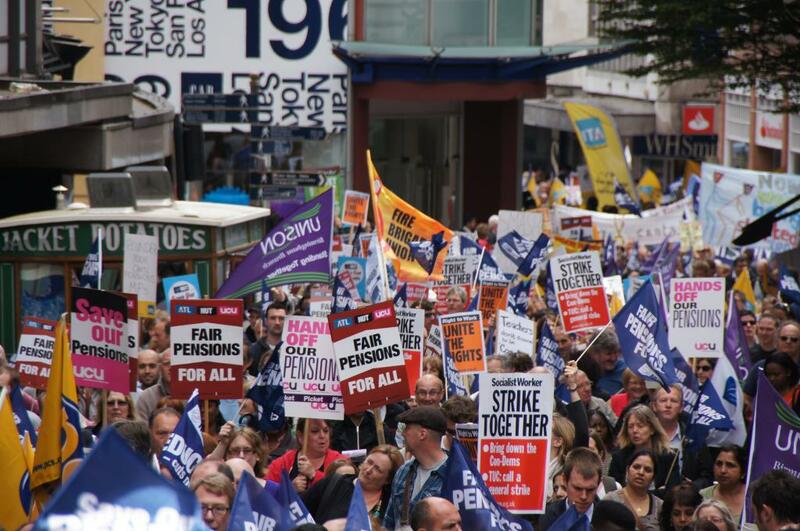 Public services union PCS and teaching union NUT today agreed to set a date for the next round of public sector strikes to defend pensions. According to union sources the executives of both the NUT and the PCS agreed unanimously to ballot members for strike action on the 28th of march. This follows yesterdays announcement by Unite's committee for civil service that they would co-ordinate action with other unions over pensions. This is a huge step forward in the on going battle between the government and public sector workers. Many workers hope the decision by the NUT and PCS to ballot members will lead the way to other unions taking action to defend there members pensions. This is a matter of great urgency as members will start seeing money taken from their pay packets very shortly. The battle of Saltley Gate is one of the high points of working class struggle in Britain. On 10 February 1972 some 30,000 engineers walked out of factories in Birmingham in solidarity with striking miners. The action was unofficial and organised by rank and file workers. Around 15,000 marched to join the miners’ picket at Saltley Gate coking station. Police had fought viciously with pickets for days to keep the gate open and protect the supply of coal. But now they were vastly outnumbered—and had no option but to close the gate. Miners were striking over pay at a time when the Tory government, led by Edward Heath, wanted to impose pay restraint across the whole working class. Saltley Gate was a turning point. Two weeks later miners voted overwhelmingly for a new deal. They had forced the government to offer much more than they’d wanted to and given the Tories a bloody nose. The victory gave confidence to other workers and led to an escalation of class struggle. The government lost. Workers had forced out a hated government. We can do the same again today. Bus drivers in Barnsley and Rawmarsh staged a town centre demo last Saturday to mark the start of four more days of strikes in their battle over pay. Some 120 Stagecoach drivers, trade unionists and other supporters marched from Barnsley bus station to a rally in the town’s main shopping area. Union representatives from Barnsley trade council, Unite, GMB, Unison and NUT spoke at the rally pledging their support and solidarity for the drivers. Shoppers applauded the drivers as they marched briskly through the town, braving freezing temperatures. Saturday was the ninth strike day for the Stagecoach drivers. They also struck on Monday of this week, and plan to walk out on Wednesday and Friday too. Pickets have remained strong and lively. 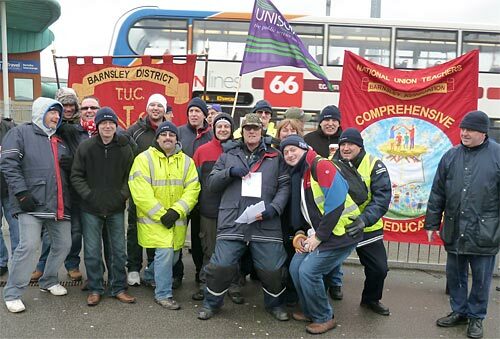 Over 90 drivers picketed Barnsley station on Saturday and over 70 joined the picket on Monday. The drivers want a pay rise of 26p an hour to bring them up to £9 an hour, backdated to the start of June last year.The company is refusing to fund the back pay—choosing to spend money on funding scab buses instead. These are driven by Stagecoach managers shipped in to Barnsley from around the country and put up in hotels overnight. People in Barnsley are avoiding the scab buses, despite the reduced £1 fares. “We have regular passengers refusing to catch the scab services,” said Unite branch secretary Tony Rushforth. Passengers are catching services from other bus operators or even walking in to town, he added. One supporter at the rally said eight people at his bus stop that day had refused to board a Stagecoach service. The Stagecoach drivers in South Yorkshire are paid significantly less than other bus drivers in the region and other Stagecoach drivers nationally. Drivers told Socialist Worker how their bus services had been run by Yorkshire Traction until December 2005, when the firm was sold to Stagecoach. Pay has risen by a mere £1.26 an hour since then. Stagecoach can easily afford to meet the drivers’ claim. The group reported a 52 percent rise in pre-tax profits last year. But instead it is lashing out against the drivers, refusing to give overtime to strikers. National and regional Unite union officials pledged financial support for the strikers at the rally. But the drivers still urgently need solidarity from across the union movement. Bus drivers have started discontinuous action against a below-inflation 1.3 percent pay rise at Rossendale Transport in east Lancashire. Meanwhile, passengers, bus drivers and anti-cuts campaigners protested on Tuesday of last week against plans to slash rural bus services in Cambridgeshire.